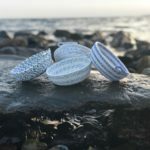 HOLIDAY GIFT GUIDES: Tiny Gifts with Tiny Price Tags! Perhaps you’re shopping for a family member, neighbor, co-worker, or friend. Maybe you’re searching for a few little trinkets to fill the stockings! Small gestures like fine chocolate bars, ornaments, socks, and soaps are thoughtful gifts that will likely keep your piggy bank happy too! 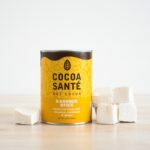 Enjoy a tasty, locally-made treat this holiday season with Cocoa Santé Hot Chocolate from White Heron! 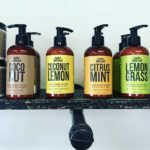 Made in upstate New York, Soap and Paper body lotions are made with shea butter and USA-sourced ingredients. 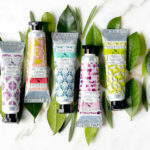 Wrapped in beautiful, earth-friendly packaging, these lotions are perfect for gifting! Available at Hazel Boutique, along with bath bombs, soaps, and lip glosses. Brighten up your desk at work, or add a modern, handmade accent to your coffee table. 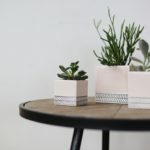 This little Herringbone Planter is a sweet addition to any space where succulents and small plants will be happy as can be! 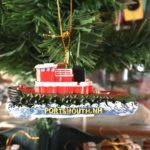 Tugboat ornaments from Tugboat Alley are sweet little replicas of Portsmouth’s famous tugboats and a thoughtful gift for every Portsmouth enthusiast! New shipment expected by December 3rd. Alaina Marie’s key fobs are the perfect accessory to adorn your set of keys! Made from marine-grade mesh material, these key fobs are fashion-forward, ultra durable, and cute-as-can-be! 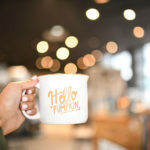 Who wouldn’t want to wake up to coffee in this happy mug every morning? Available at Muse Boutique. Can catchall trays get any cuter?? Store jewelry, mail, or keys in these beautiful woven rope bowls! Add a special touch to your tree this holiday season with Maine-made ornaments from Benoit’s Design Co.! 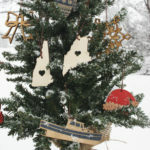 Check out the variety of other New England-inspired ornament designs here! 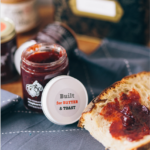 A light infusion of scented rose geranium, currents, and raspberries (grown on a Vermont farm) come together to create a truly unique taste in this Raspberry Redcurrant Geranium Jam! Available at Gus & Ruby Letterpress. Tiny 40-piece puzzles are perfect for gatherings around the coffee table! 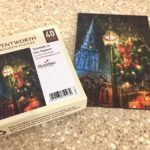 Diversions’ wooden puzzles feature a beautiful assortment of Portsmouth images from local photographers. 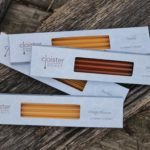 A sweet holiday snack or tasty accompaniment to your morning coffee—Cloister Honey Straws from Inside Out are infused with flavors such as wildflower, cocoa and lemon! 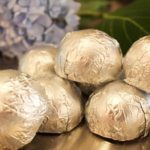 Aromatherapy Shower Bombs are a fun and fragrant way to bring a spa experience into your bathroom! Available in a variety of scents at janegee. 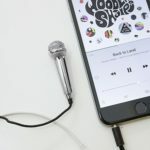 This tiny karaoke microphone plugs into cell phones for singing battles on-the-go! Helloooo yankee swap! Available at Daytrip Society. 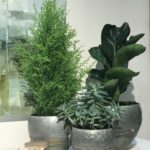 Pop some greenery into these galvanized pots from Summer House Furnishings and you’ll be the bearer of a fabulous hostess gift! Epic Blend Bath Soaks are luxurious without being too “over the top”. Enjoy a warm bath and pamper yourself after spending time outdoors! Available at BARE Waxing Boutique. 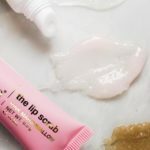 Eliminate dry, flaky skin, and leave lips soft and supple with Sara Happ’s Sugar + Shine Lip Scrub Trio available at Making Faces! 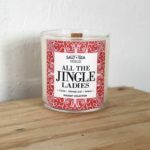 “All the Jingle Ladies” Candle will dazzle and delight your home this holiday season with a little festive humor! Available along with other “Beyoncé” scents at Making Faces. 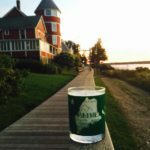 Made in Maine from 100% soy, the “Maine Travelers Candle” from Bell Farm Shop smells like the warm scent of the Maine woods. When your candle burns out, recycle your state-themed glass and use it to sip your favorite cocktail!